Local Star Wars fans would have already been aware or signed up for the first Star Wars Run held on May 6th organized by sports event management company, Esprimo. 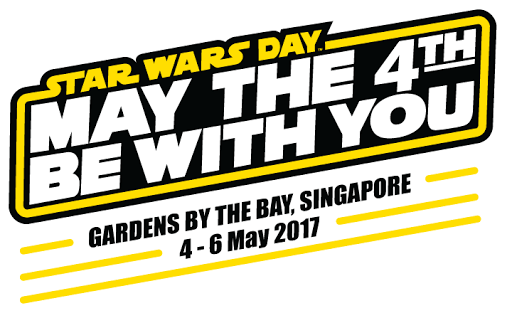 In addition to the themed run, the company has also collaborated with the Singapore Tourist Promotion Board to make this year's May The 4th celebration into a three-day festival at Gardens by the Bay's Supertree Grove. The galactic shindig kicks off on Thursday May 4th with appearances of Chewbacca and Kylo-Ren, a SaberTrees Light-up of the supertrees as well as the specially choreographed Garden Rhapsody Star Wars Edition light show set to the movie franchise's iconic soundtrack. A replica of the two-legged All-Terrain Scout Transport (AT-ST) will also be standing guard at the Supertree Grove. This should be a great photo opportunity for any Star Wars fans, especially if you are dressed for the occasion! 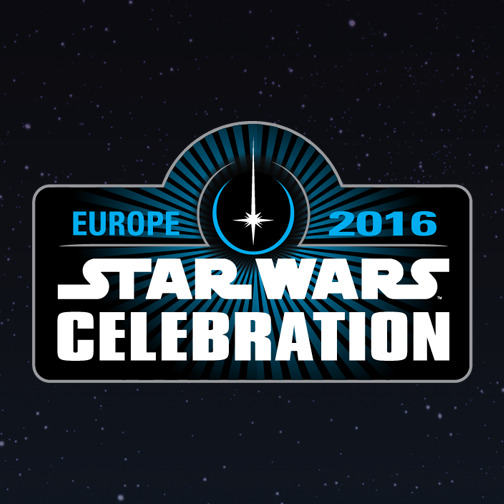 Will Star Wars Celebration Europe 2016 Be A True Celebration For Fans? For the last 17 years, a convention called "Star Wars Celebration" has been held for Star Wars lovers to celebrate everything about the franchise. ReedPop took over as the event organizer in 2010 with "Star Wars Celebration V" in Orlando, where the 30th anniversary party for "The Empire Strikes Back" was also hosted. This year, Red Dot Diva is heading to her first such meetup held at London's EXCEL Centre from 15 to 17 July 2016. The current edition has been entitled "Star Wars Celebration Europe" (SWCE). Although with BREXIT, the "Europe" header seems to be simmering like an embittered soon-to-divorced spouse. 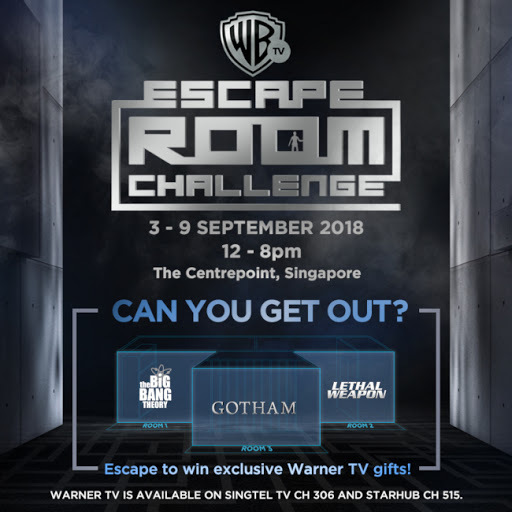 For the last month, many fans were unhappy and voiced their concerns that ReedPop had yet to announce sufficient guests for them to feel that the event was a true celebration of sorts. At that point, only the key guests Mark Hamill, Carrie Fisher, Kathleen Kennedy, Gareth Edwards and Dave Filoni were announced. 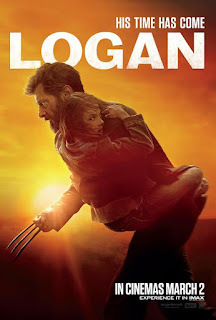 Inevitably, the number of guests listed was compared to the huge line-up at Anaheim 2015, which saw the entire cast of "The Force Awakens" make their presence on stage. Prior to BREXIT, ReedPop announced a few more guests like Anthony Daniels, Peter Mayhew, Jeremy Bulloch, Ray Park and Daniel Logan as well as a list of autographing guests. Which was all well and good, but there has still been no word about celebrity guests from TFA, Rogue One or Episode VIII. 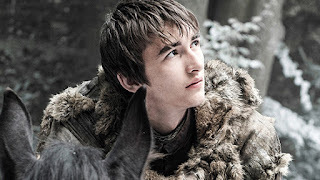 However, what caught most attendees unprepared were the exorbitant prices charged for the celebrity photo ops. STGCCBiceps Instagram Photo Contest - Winners Announced! 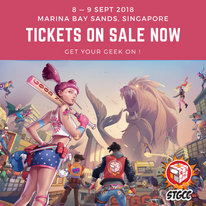 During this year's STGCC, the Glam Bloggers Alliance (GBA) held an Instagram photo contest with the topic on STGCCBiceps. There were some really fun ones posted by attendees, and the GBA thanks those who participating and joining in the fun! Congratulations to the three winners of the contest showing off their glorious STGCCBiceps!! 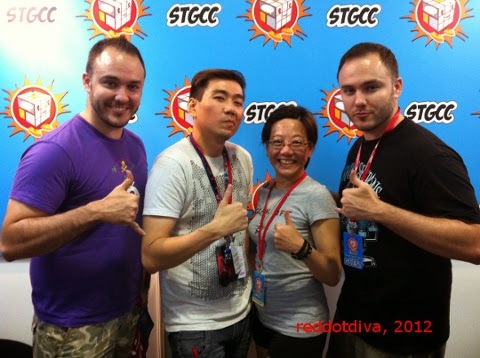 STGCC 2014: Flex Some Muscles and Take Part in the STGCC Biceps Instagram Photo Contest! 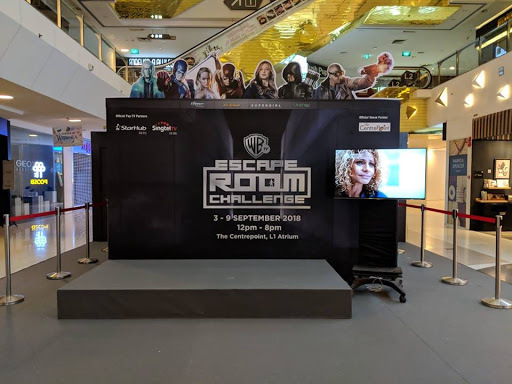 The Glam Bloggers Alliance has added one more level of fun to the STGCC experience this weekend! Attendees of the convention can take part in a special STGCC Biceps Instagram Photo Contest! and win stand a chance to win a stash of geeky goodies!